AFFORDABLE HORSE & TRAIL RIDER'S PARADISE! Peaceful and private 13 acre ranch with "L" Designation and A70 Zoning allows for unlimited horses plus boarding/training -- great income potential. Borders scenic state park with access to miles of riding trails. Numerous covered corrals (24x24), sand arena (60x120) and trails on the property. Adorable home with open floor plan, lots of light and spectacular views from every room. Just minutes to shopping, dining and entertaining., Envision yourself at home on this peaceful & private 13 acre ranch with 360 degree views of North San Diego County, conveniently located at the trailhead of a spectacular 1900 acre park with miles of riding trails through scenic vistas with wildlife galore. This property has the much sought-after A70 zoning with 'L' animal designator which allows for unlimited private horsekeeping, PLUS income potential for boarding/training with no additional permitting required. 7 covered pipe corrals (24x24) already in place with room for more. 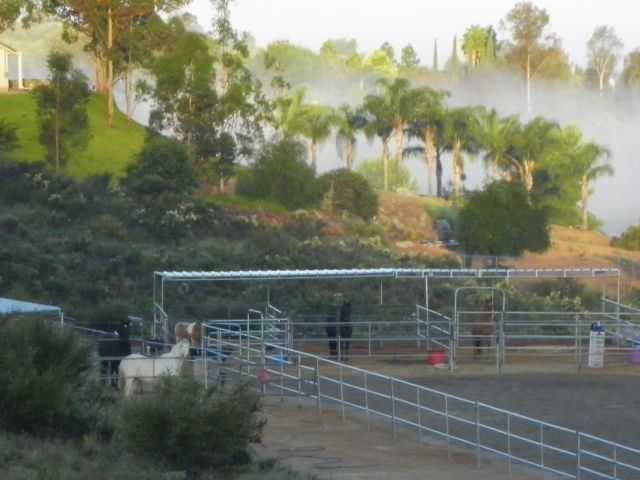 Exercise, ride or train in the arena (60x120) with sand footing or take to the exercise trails on the property. Ample trailer parking and turn-around, with loads of available space to add whatever else your horse-loving heart desires. Bring all your pets and animals, no matter how strange, because all other animals, including exotics, are allowed too. Retreat to an adorable 3 bed/2 bath move-in ready home with striking views from every window. Eat in the sky-lighted kitchen with island and lots of storage or entertain in the separate dining room. Relax in the living room with a fire in the stone covered fireplace and elegant tray ceiling with custom fan. Retire to your quiet master bedroom with vaulted ceiling and blown-glass ceiling fan, walk-in closet and ensuite bath with dual sinks/vanities; walk-in shower and oval soaking tub. Feel safe knowing you have energy efficient, fire-resistant double pane windows and an automatic, fire detection and suppression sprinkler system throughout your home. Need groceries, horse feed, a meal or a massage? You're only 5 minutes from quaint Valley Center and multiple top-rated casinos with pools/spas/restaurants, plus fishing at Lake Wolford and shooting at a private firearms range. Or venture 15 minutes for endless shopping, restaurant and entertainment opportunities.